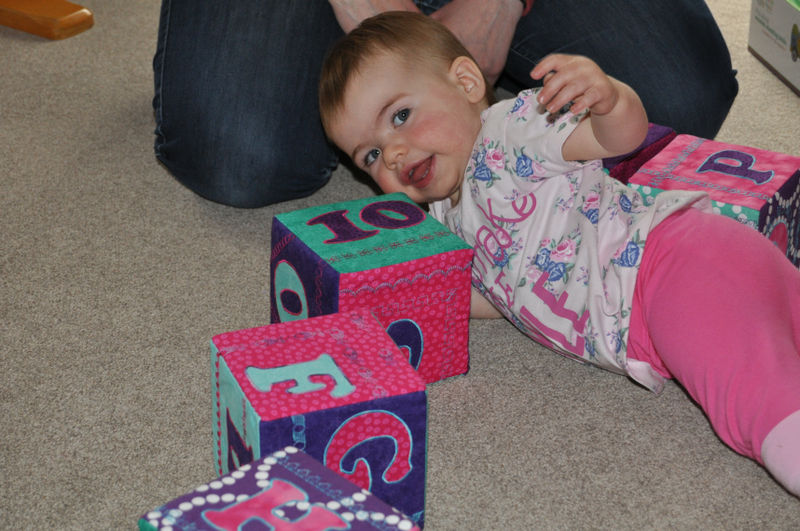 I mentioned my plan to make squishy foam alphabet blocks for my niece’s first birthday a few weeks ago, and at last here are the finished articles! 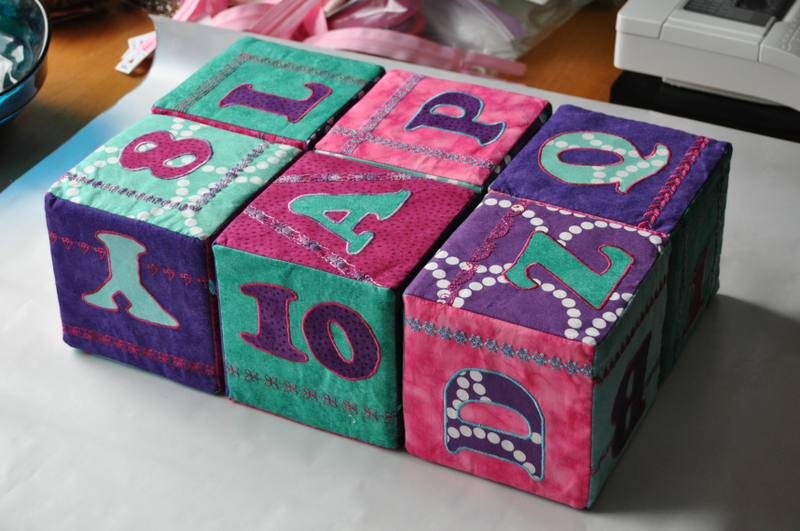 They were a lot of fun to make – I went to town with the decorative stitches on my sewing machine and every face of every cube is decorated differently. 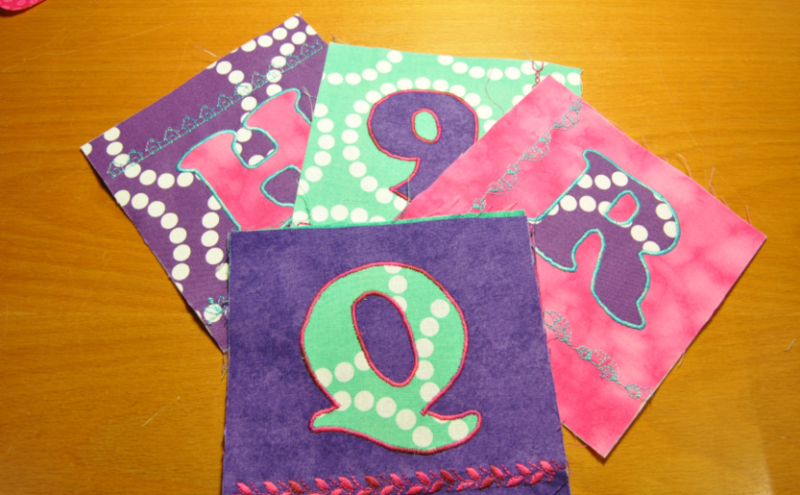 If I had a “suitable” stitch (like ants on the letter A), then I gleefully used it! All the satin stitching around the letters seemed to take forever, but the effect is great and I know that they’re secure against prying little fingers. Linking up with #CreativeGoodness at QuiltShopGal.